1. Define which type suits your application best. 2. Define height and diameter of shackle. 3. Choose a key system (Keyed different, Keyed alike, Master Keyed). 4. 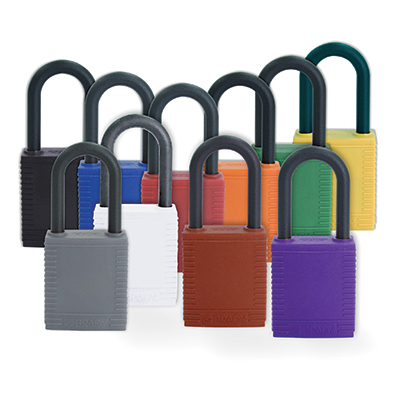 Choose the colour of the padlock. 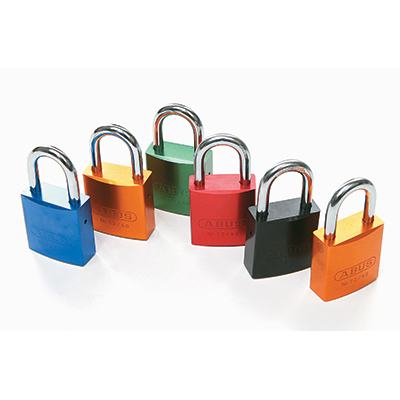 Our padlocks are supplied “keyed differently” when purchased from stock. This means that the key for one lock should not open another. 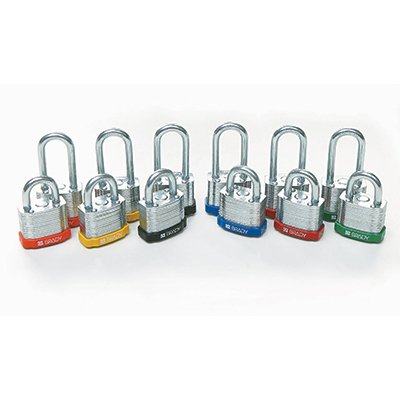 Our padlocks use 5- or 6-pin cylinders to offer high levels of safety and security. Both cylinders and keys are precision machined to exacting standards. This enables us to offer a greater number of unique keys than other locks with the same number of pins, making it highly unlikely that you will ever receive a duplicate lock. 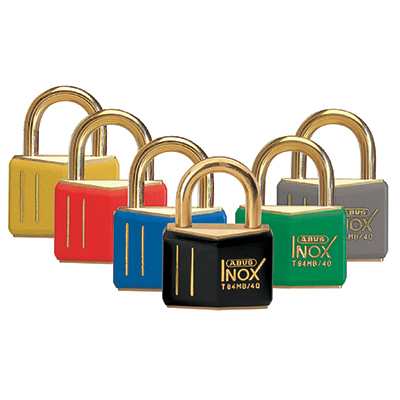 To guarantee that each lock is different, we can chart your locks, ensuring that each padlock you receive is different from the others. When keyed alike, all locks in a set can be opened with the same key. This option is beneficial when multiple locks are assigned to a single employee. A master key can be used to open multiple locks that are keyed differently. 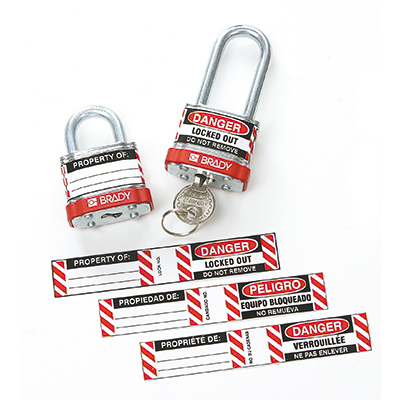 This allows supervisors to easily remove a lock in the event of an emergency. In order for employees to retain exclusive control, master keys should be kept in a secure location that is accessible only to management. The master key system can be extended to several teams. This way each team has a master key and all the locks of all the teams can be opened by a ‘Grand’ Master Key if necessary.